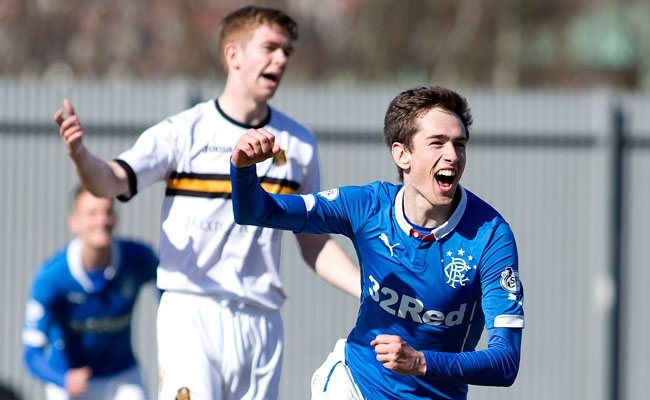 A BRACE from Ryan Hardie on his full debut helped Rangers to a 3-1 win over Dumbarton, as the sun shone down on the youngster. Stuart McCall had handed the 18-year-old his first start in Rangers blue and he repaid him with a double either side of the break to give himself a dream start to full first team life. Haris Vuckic also took his share of the spoils with Gers third as he pocketed his seventh goal in nine games with a 25-yard screamer. The result sends Rangers four points clear of Hibs, the Edinburgh side have a game in hand, which they play against Livingston on Wednesday. There were just 30 seconds gone when the game was kicked into life, beginning a frenzied opening 10 minutes. Vuckic squared a cute ball to Clark and the diminutive frontman only had the keeper to beat but he skied over from just yards out. 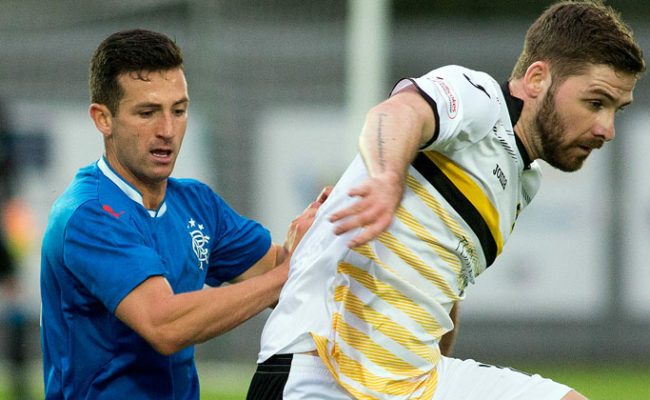 But it would be Dumbarton who dealt the first blow as they took the lead after two minutes. Mark Gilhaney punted a ball over the top into the Rangers box and Darren McGregor failed to clear properly. 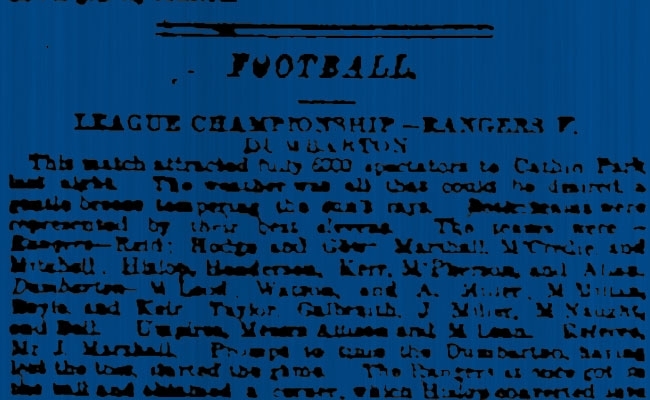 He had effectively flicked the ball onto Wilson who calmly dispatched a left-footed finish, with his first touch, past an outstretched Cammy Bell. A couple of minutes later the skipper had a superb chance to level for the Light Blues. Vuckic pinging a corner into the box which McGregor, now on the attack, connected with properly to head onto Lee McCulloch. The centre-back produced an excellent volley out of nothing and Danny Rogers had to be at full stretch to tip over. 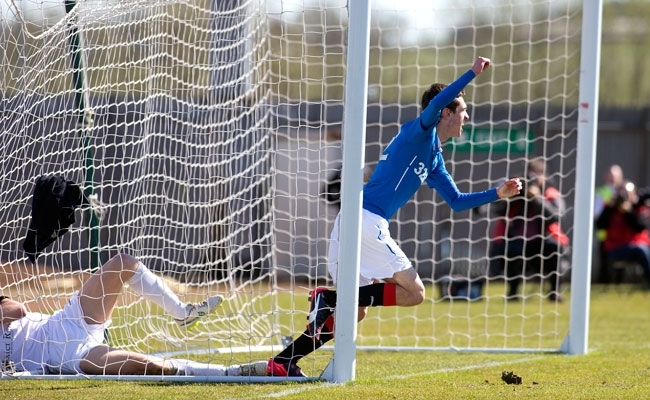 It took Rangers a mere eight minutes to level – Ryan Hardie finishing in determined style for his first ever Gers goal. 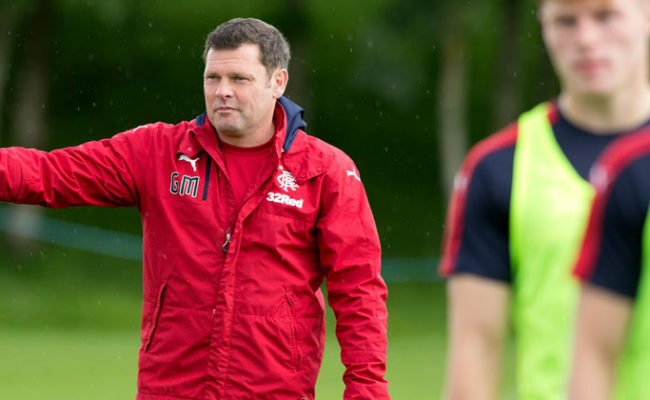 Vuckic had slotted a sweet through ball into the pacey 18-year-old’s path and he beat Andy Graham for pace. He dinked past Rogers and the keeper managed to get a hand to it to block. But the youngster was making sure he got a debut goal as he scrambled on the line with Stuart Findlay to bundle it into the back of the net. And to top off a furious opening period McCall’s men nearly took the lead moments later as McGregor had an effort from range tipped over. 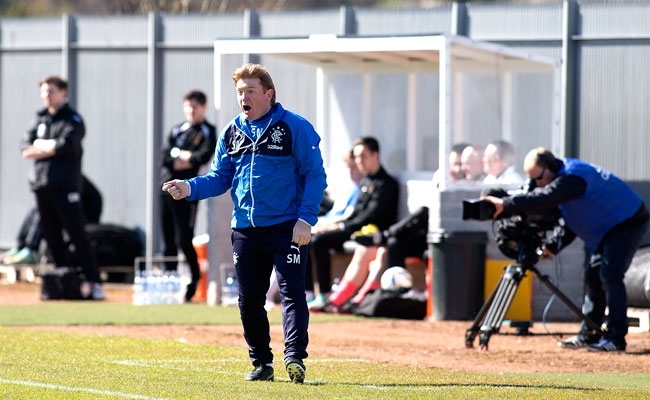 The game settled into a steadier pace before Gers were rattled at the back by The Sons again on 24 minutes. Dylan Easton put together a few clever step overs to get himself into a good shooting position but he couldn’t seal the deal and shot wide of the right post. The half-hour mark ticked by and Nicky Law went closest to putting his side in front with a brilliant volley from the edge of the area. Vuckic providing for the 27-year-old, who created some space before fizzing a shot at goal sending Rodgers straining to palm it over his bar. Four minutes after the break Hardie was to bring the magic he has been showing in the Development League all season, to the Championship stage. Lee Wallace picked the debutant out in the six-yard box and with his back to goal he flicked the ball over his shoulder with a deft touch of the toe to give Gers the lead. And three minutes later Rangers had three. Law gave Vuckic a short ball and the midfielder made moves for the Slovenian to play it back into him. But the 22-year-old had other ideas and took the shot on him with a few paces forward, before unleashing a perfect 25-yard curler into the top left-hand corner for his eight goal in a blue jersey. Celtic loanee Stuart Findlay nearly pegged one back for Dumbarton in the 65th minute. The Scotland Under-21 forcing a quick reaction from Bell after meeting Dylan Easton’s cross in the heart of the Gers box. And then former Ger Archie Campbell fired over from yards out with just the keeper to beat. With quarter of an hour left Hardie was looking for his hat-trick when he backed into The Sons centre-half to turn and chip just over the crossbar from an acute angle. He wouldn’t end the day with three but did receive a standing ovation as he left the pitch, in the 85th minute, for his efforts. Rangers then had a hatful of chances to add to their tally, Law hitting the bar from the edge of the area before Clark put a half-volley just over from distance as the final whistle sounded.